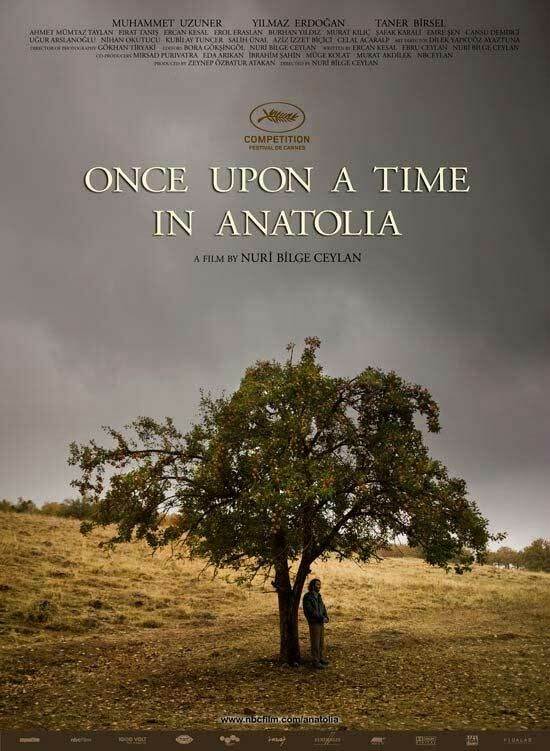 Once Upon A Time In Anatolia is a film from Turkish director Nuri Bilge Ceylan, a name some film buffs may recognize. The movie depicts a night-long search for a body in the hills of Anatolia (the Steppe of Eastern Turkey). The police chief, medical examiner, region prosecutor, and, of course, the arrested man–who leads authorities in the direction of a body–are a crew of epistemological travelers. I say travelers in a literal and figurative sense, because the movie is concerned with the assumptions and understandings that characters make and question over the course of one night. The movie progresses linearly and is crouched within the fairytale, “once upon a time” vocabulary. The film’s narrative is in part a search for truth, fact, and justice, and in part about the impossibility of ontological truth. Examination and explication are attract and repel consistently throughout the film, and this tension is magnificently depicted in a visual and lyric beauty. The characters are human—unexceptional, even—which I think allows the film to pose questions on a profound (and impossible) scale. At the end of the Once Upon A Time In Anatolia, I kept asking myself, what is the Doctor thinking, what does he see? I don’t know, and I can only suggest and surmise, and continue to think and wonder. Once Upon A Time In Anatolia possesses an inherent intrigue, and is a subtle, masterful work, worth many viewings and good conversations about meaning. "What's interesting is that in this video, there's the obvious strength of Rob holding Lorely.